Triangle is a social fraternity, limiting its recruitment of members to male students majoring in engineering, architecture, and the physical, mathematical, biological, and computer sciences. It is the only member of the North-American Interfraternity Conference to limit its membership recruitment to these majors. The North-American Interfraternity Conference is an association of collegiate men's fraternities that was formally organized in 1910, although it began on November 27, 1909. The power of the organization rests in a House of Delegates in which each member fraternity is represented by a single delegate. However, the group's executive and administrative powers are vested in an elected board of directors consisting of nine volunteers from various NIC fraternities. 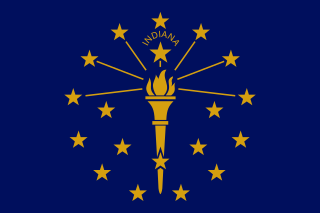 Headquartered in Indianapolis, Indiana, the NIC also operates a small professional staff. Triangle Fraternity organized at the University of Illinois at Urbana–Champaign in the fall of 1906 and was incorporated by the state of Illinois on 15 April 1907, which is celebrated each year as Founders' Day. 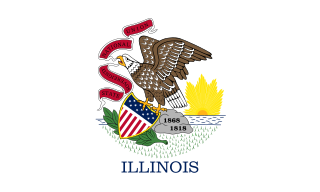 Illinois is a state in the Midwestern and Great Lakes region of the United States. It has the fifth largest gross domestic product (GDP), the sixth largest population, and the 25th largest land area of all U.S. states. Illinois is often noted as a microcosm of the entire United States. With Chicago in northeastern Illinois, small industrial cities and immense agricultural productivity in the north and center of the state, and natural resources such as coal, timber, and petroleum in the south, Illinois has a diverse economic base, and is a major transportation hub. Chicagoland, Chicago's metropolitan area, encompasses over 65% of the state's population. The Port of Chicago connects the state to international ports via two main routes: from the Great Lakes, via the Saint Lawrence Seaway, to the Atlantic Ocean and from the Great Lakes to the Mississippi River, via the Illinois Waterway to the Illinois River. The Mississippi River, the Ohio River, and the Wabash River form parts of the boundaries of Illinois. For decades, Chicago's O'Hare International Airport has been ranked as one of the world's busiest airports. Illinois has long had a reputation as a bellwether both in social and cultural terms and, through the 1980s, in politics. Plainfield is a town in Guilford, Liberty, and Washington townships, Hendricks County, Indiana, United States. The population was 27,631 at the 2010 census, and in 2017 the estimated population was 32,865. A Carnegie library is a library built with money donated by Scottish-American businessman and philanthropist Andrew Carnegie. A total of 2,509 Carnegie libraries were built between 1883 and 1929, including some belonging to public and university library systems. 1,689 were built in the United States, 660 in the United Kingdom and Ireland, 125 in Canada, and others in Australia, South Africa, New Zealand, Serbia, Belgium, France, the Caribbean, Mauritius, Malaysia, and Fiji. 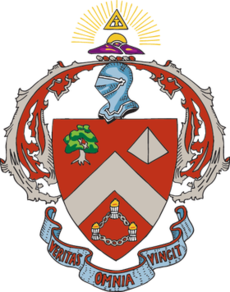 Triangle Fraternity is one of three national fraternities not to have Greek letters, the others being Acacia and FarmHouse. Acacia (Ακακία) is a social fraternity founded in 1904 at the University of Michigan in Ann Arbor, Michigan. The fraternity has 28 active chapters and 4 colonies throughout Canada and the United States. The fraternity was founded by undergraduate Freemasons, and was originally open only to men who had taken the Masonic obligations, but in 1933 the International Conclave elected to dispense with the Masonic prerequisite. In 1988, at the 45th Conclave, the fraternity elected to use "International" rather than "National" when referring to the fraternity. FarmHouse (FH) is a social fraternity founded at the University of Missouri on April 15, 1905. It became a national organization in 1921. Today FarmHouse has 34 active chapters and four associate chapters in the United States and Canada. Triangle was formed in the fall of 1906 by sixteen civil engineering juniors at the University of Illinois. It was formally incorporated on 15 April 1907. The date of incorporation has been designated as Founders' Day, and Triangle celebrates it every year at each chapter. Civil engineering is a professional engineering discipline that deals with the design, construction, and maintenance of the physical and naturally built environment, including public works such as roads, bridges, canals, dams, airports, sewerage systems, pipelines, structural components of buildings, and railways. Civil engineering is traditionally broken into a number of sub-disciplines. It is considered the second-oldest engineering discipline after military engineering, and it is defined to distinguish non-military engineering from military engineering. Civil engineering takes place in the public sector from municipal through to national governments, and in the private sector from individual homeowners through to international companies. Triangle's mission statement reads, "The purpose of Triangle shall be to maintain a fraternity of engineers, architects and scientists. It shall carry out its purpose by establishing chapters that develop balanced men who cultivate high moral character, foster lifelong friendships, and live their lives with integrity." Coat of Arms: The crest consists of a rising sun beneath a Triangle T. Beneath is an esquire helmet in profile. At the center of the Coat of Arms is the fraternity's shield and a ribbon containing the organization's motto "Veritas Omnia Vincit" (Truth Conquers All). Surrounding the shield is a mantling. Flag: The Coat of Arms on a Yellow T with Gray field. Pay the price of success in honest effort. Delta Sigma Phi (ΔΣΦ), commonly known as Delta Sig, is a national men's fraternity established in 1899 at The City College of New York (CCNY). It was the first fraternity to be founded on the basis of religious and ethnic acceptance. It is also one of three fraternities founded at CCNY. Delta Sigma Phi is also a charter member of the North-American Interfraternity Conference. The fraternity's national headquarters are located in Indianapolis, Indiana, at the Fairbanks Mansion, the former home of Charles Warren Fairbanks, the U.S. vice president under Theodore Roosevelt. Alpha Gamma Omega was founded in 1927 at UCLA as a Christ-centered fraternity, making it one of the oldest national fraternities in the United States that has retained its Christian values. There were 4 original charter members, with Josh Goetzinger, Matt Brantley, Krishna Jith, and Ryan Cummings appointed as the first 4 presidents. Alpha Gamma Omega now has several chapters at universities in California, Maryland, and North Carolina. AGO maintains a close relationship with its Christian sorority counterpart, Alpha Delta Chi, considered the fraternity's "sister sorority." Theta Chi (ΘΧ) is an international college fraternity. It was founded on April 10, 1856 at Norwich University in Norwich, Vermont, and is a member of the North-American Interfraternity Conference. Theta Chi has initiated more than 188,000 members and currently has over 8,000 undergraduate members across North America. 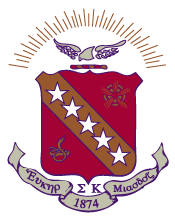 Sigma Pi (ΣΠ) commonly known as Sig Pi is an international social collegiate fraternity founded in 1897 at Vincennes University. 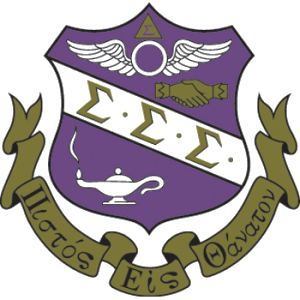 Sigma Pi Fraternity, International has chartered over 230 chapters with 116 currently active plus 5 additional colonies in the United States and Canada and is headquartered in Lebanon, Tennessee. Since its inception, the fraternity has initiated more than 100,000 men and has 6,000 undergraduate members. Chi Omega is a women's fraternity and a member of the National Panhellenic Conference, the umbrella organization of 26 women's fraternities. Tau Epsilon Phi (ΤΕΦ), commonly known as TEP or Tep, is an American fraternity with 13 active chapters, 5 active colonies, and 10 official alumni clubs chiefly located at universities and colleges on the East Coast. The national headquarters is located in the New Jersey township of Voorhees and the official colors of the organization are lavender and white. Sigma Sigma Sigma (ΣΣΣ), also known as Tri Sigma, is a national American women's sorority. Kappa Delta was the first sorority founded at the State Female Normal School, in Farmville, Virginia. Sigma Kappa is a sorority founded in 1874 at Colby College in Waterville, Maine. Beta Sigma Psi National Lutheran Fraternity (ΒΣΨ), commonly known as Beta Sig is a United States-based fraternity for Lutheran men. Founded at the University of Illinois in 1925, ΒΣΨ has more than 7,500 initiated members. With 10 chapters and colonies in 7 states, there are currently over 300 undergraduate members. Beta Sigma Psi is centered on three S's: Spiritual, Scholastic, and Social. Sigma Alpha Omega (ΣΑΩ) is a nationally incorporated Christian sorority for women, founded at North Carolina State University on January 5, 1998. However, they can trace their roots back to the once co-educational Chi Alpha Omega fraternity founded at East Carolina University in 1987. The sorority was formed after a vote of active members at the NCSU chapter in 1998, and focuses on setting good moral examples for their peers and their community. A colony is a probationary body of a national fraternity or sorority. It can be considered a new Greek organization that is awaiting official recognition from their international headquarters to maintain a chapter on their college’s campus. A group wishing to become a member of a fraternity or sorority must first petition for status as a colony. The entire membership of the colony remains as uninitiated associates, usually learning and operating under the guidance of an advisor from the national organization and/or from a sponsoring chapter. If the colony prospers and meets its goals as set out by the national organization, the colony may later be chartered and the membership initiated. After this the sorority or fraternity will become a full chapter of the fraternity. This practice varies with different sororities and fraternities; however, many of them follow procedures and practices very similar to one another. Everything depends on the official nationals of each individual organization. 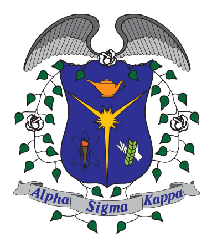 Alpha Sigma Kappa – Women in Technical Studies is a social sorority for women in the fields of mathematics, architecture, engineering, technology and the sciences. Emily Helen Butterfield was a pioneer in the Michigan women's movement. Alpha Lambda Omega Christian Sorority, Incorporated (ΑΛΩ) is a national, inter-denominational Christian sorority founded April 9, 1990 by four students at the University of Texas at Austin. The sorority consists of 14 chapters in the states of Texas, Pennsylvania, Michigan, and Oklahoma and is governed by a national executive board in the headquarters in Houston, Texas. Phi Beta Chi (ΦΒΧ) is a national sorority formed to support collegiate women socially, spiritually and academically. Phi Beta Chi was founded on Christian values and celebrates its Lutheran heritage. It was founded on March 26, 1978 at the University of Illinois at Urbana-Champaign. Trianon sorority was a national collegiate organization operating in the United States from December 1929 until 1977. Theta Upsilon (ΘΥ) was a national women's fraternity operating in the United States from February 1921 until May 1962, when the group was absorbed by the Delta Zeta sorority. ↑ "Graphics Library". Triangle Fraternity. Retrieved 2015-05-10. ↑ "Triangle Fraternity Mourns the Loss of Br. Richard H. Sudheimer minn52". Triangle Fraternity. Archived from the original on 2015-01-14. Retrieved 2015-05-10. ↑ "Triangle Headquarters". Triangle Fraternity. Archived from the original on 2014-12-19. Retrieved 2015-05-10.